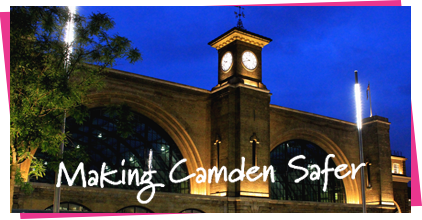 The Camden Routes off The Streets team is commissioned by the London Borough of Camden to end street homelessness and reduce street based anti-social behaviour. People who are rough sleeping. People involved in street based prostitution. Move rough sleepers into accommodation. Support people who have become street homeless in London, who originate from elsewhere, to return home in a planned and supported way. Help drug and alcohol users to access treatment. Support people with mental as well as physical health problems to get the medical help they need. Stop anti-social behaviour on the streets of Camden through partnership work with Camden Council and the police alongside other enforcement agencies. We rely on information from the public in order to find rough sleepers and identify antisocial behaviour hotspots. You can report rough sleeping and incidents of street activity to StreetSafe. Please give us the exact time, location and date. We will let you know what action has been taken and the outcome. Confidentiality: Our services are confidential and we have an open access policy. However, situations may arise where we will be obliged to notify the relevant authorities in order to protect vulnerable children or adults or to prevent a serious crime or act of terrorism.